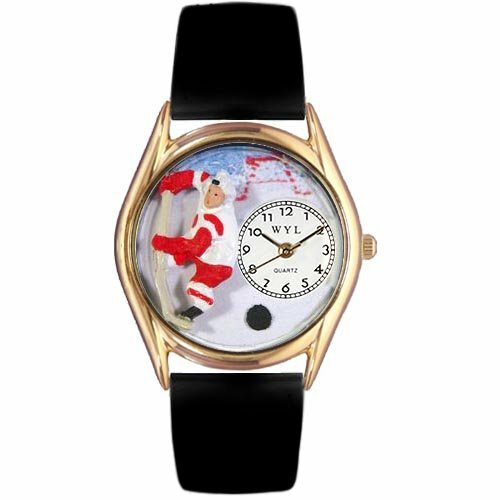 Whimsical Watches Kids' C0820002 Classic Gold Hockey Black Leather And Goldtone Watch by Whimsical Watches at Mas Fashion. MPN: C0820002. Hurry! Limited time offer. Offer valid only while supplies last. What is your favorite hobby? Whatever you like to do, Whimsical Watches has a time teller for you that depicts a scene of what you like to do best. What is your favorite hobby? Whatever you like to do, Whimsical Watches has a time teller for you that depicts a scene of what you like to do best. Be yourself with Whimsical Watches.